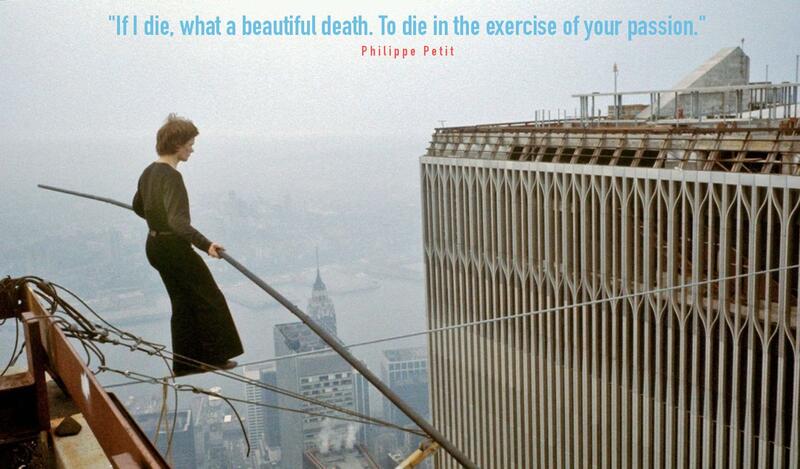 Philippe Petit walked between the two twin towers back in 1974. In honor of the new spire finally being added to 1 WTC, here’s some inspiration from a great daredevil. Seek passion, be creative, and do what makes your heart sing.